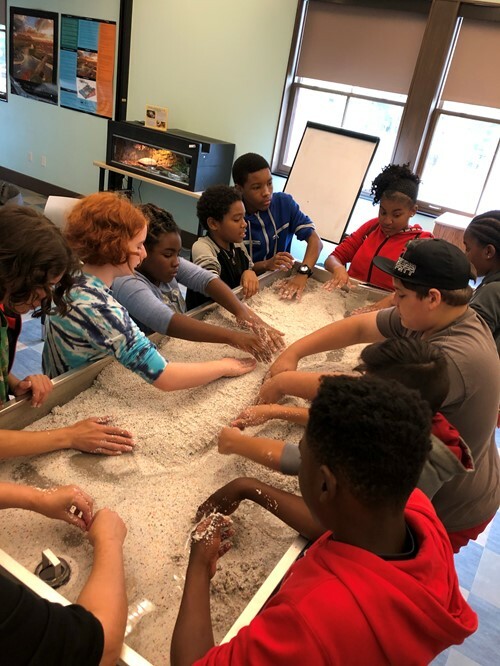 Nov. 6, 2018 -- Heights Middle School 7th graders are taking everything they’ve learned in science and applying it to real world problems, including one affecting their very own school: how to reduce the amount of surface run-off on the Wiley campus. Because the building is surrounded by a large, impermeable parking lot, stormwater runs off the pavement, which can lead to increased flooding, erosion and issues with water quality. 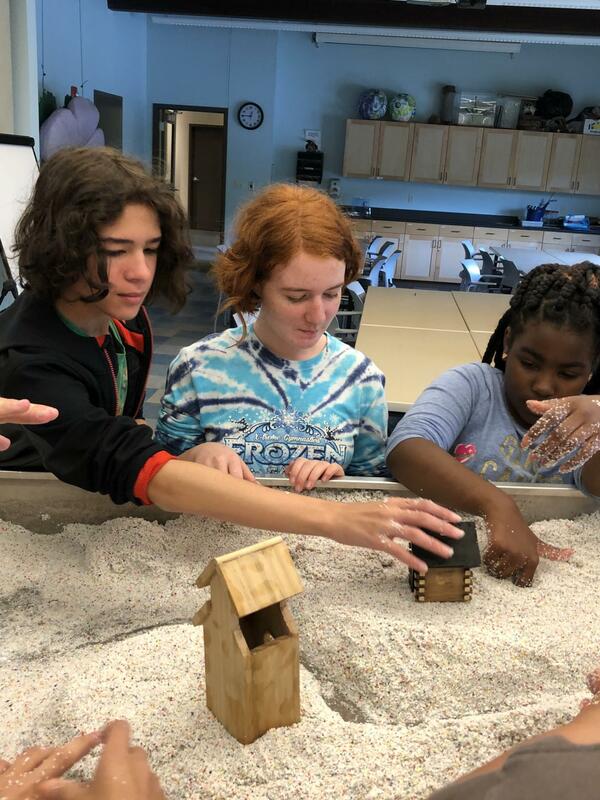 For the summative International Baccalaureate Design Project, students had one week to use the science content they learned over the course of the first quarter to “take action,” a major component of an IB education. 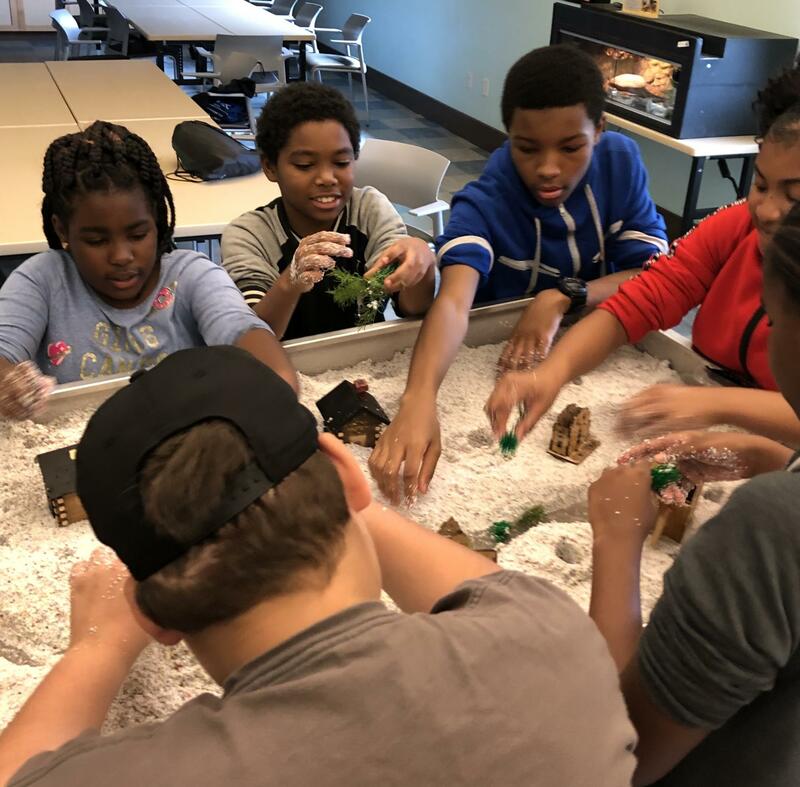 After visiting the West Creek Watershed in Parma, students worked in small groups to research the environmental consequences of surface run-off, brainstorm possible solutions, and create and present a proposal to address the problem. 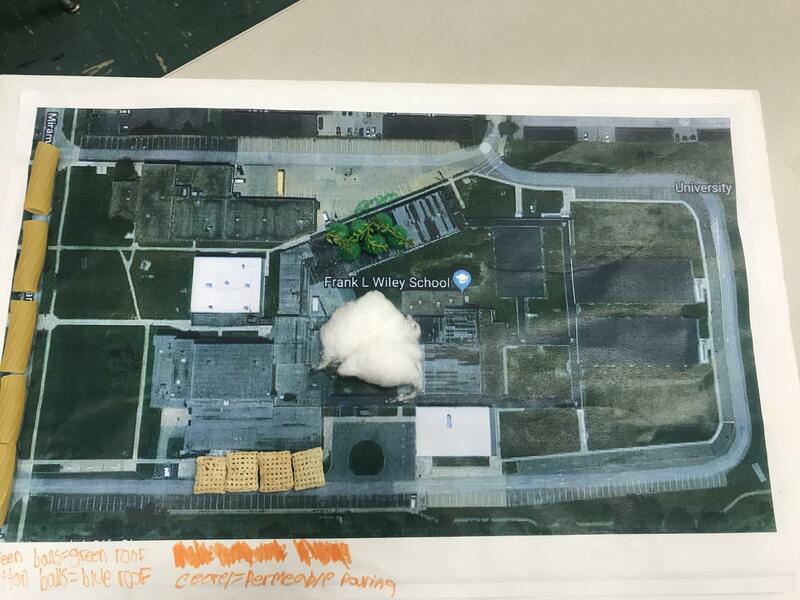 Their final product included a research paper, a three-dimensional model of the school property with their proposed modifications and an oral presentation to their classmates and district administrators. The project incorporated other disciplines as they used math skills both to measure and to determine cost; social studies skills as they learned how to effect changes in policy; and language skills in writing, researching and public speaking. Students suggested the addition of rain barrels to the school property, replacing the current parking lot with permeable pavement, planting cattails and reeds to absorb water and reduce erosion, and building green or blue roofs on top of the school to collect and reuse rainwater. Each group anticipated the possible arguments against their proposals – especially regarding the costs, which were surprising to the young people. But they were happy to hear from Bob Swaggard, the district’s Director of Curriculum and Instruction, that the schools will receive a 25% discount from the Northeast Ohio Regional Sewer District simply because the students studied the problem. Which means they’ve created at least part of the solution already.